The Caddyshak Bar & Grill will be open for lunch on Friday, and breakfast & lunch on both Saturday and Sunday. Sunday, particularly, would be a great time to stop in and celebrate the Easter holiday with your family! The Caddyshak will then observe normal operating hours beginning next week. If you’re interested in booking tee times for the weekend or beyond, click HERE or call the Pro Shop at (715) 634-2760. Spring Contest — Enter to Win 2 Gift Cards! We know many of you are anxious to hear when the golf course and driving range might be opening. This week’s weather forecast has unfortunately thrown a wrench into our original plans, so we’re temporarily in a holding pattern as we wait to see how much – if any – snow we get in the next few days. We expect to have a much clearer picture of our opening timeframe by this weekend or very early next week. As soon as we know when we can open, you will know! Check our Facebook page, our website, or your email inboxes for updates! Here’s how you can enter to win: make sure you “Like” the Hayward Golf Club Facebook page (https://www.facebook.com/haywardgolfclub) and the Caddyshak Bar & Grill Facebook page (https://www.facebook.com/caddyshakbar/). That’s all you need to do! If you have already “Liked” these pages, you’re already in the contest! Every person who has “Liked” these pages by May 1st will be entered into two separate, randomized drawings (one for the Pro Shop and one for the Caddyshak) to win. The alphabetical “Like” lists will be numbered and an online random number generator (https://www.random.org/) will be used to select the winners. We will contact the winners via private message to organize the delivery of the prizes! 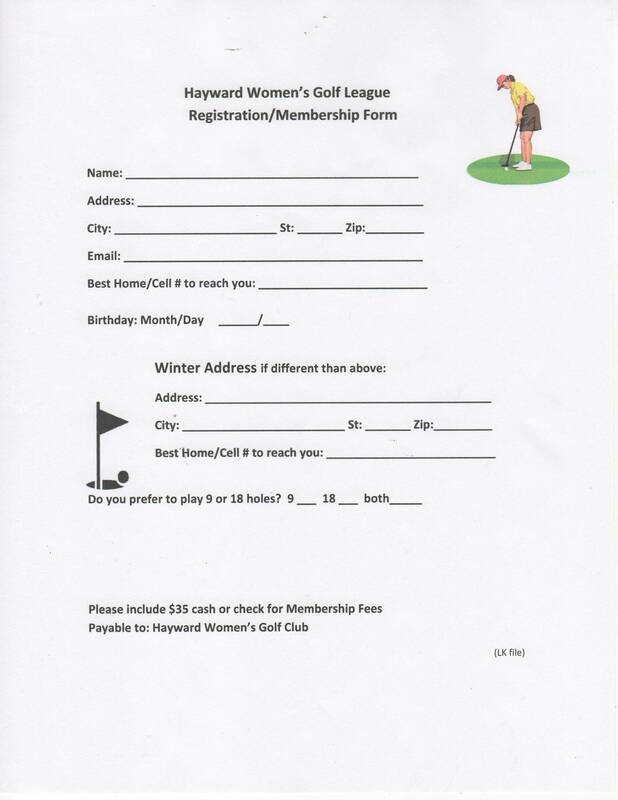 https://i2.wp.com/www.haywardgolf.com/wp-content/uploads/2019/04/8.jpg?fit=852%2C480&ssl=1 480 852 Hayward Golf Club https://www.haywardgolf.com/wp-content/uploads/2017/01/logo-1.png Hayward Golf Club2019-04-08 13:45:572019-04-08 13:45:57Spring Contest -- Enter to Win 2 Gift Cards! Now that Spring has arrived, the opening of the golf season is just around the corner! We wanted to take the opportunity to give everybody some information about the five core golf leagues offered here at Hayward Golf Club. Runs on Tuesday mornings from May into September. Read more details HERE. Runs on Wednesday mornings from May into September. May 1st will be the opening day, with an exciting schedule of events being planned for the season, including a new Member-Guest Day. Registration form HERE. Runs on Tuesday afternoons from May into September. Read more details HERE. For the 2019 season, we’re bringing back the Women’s 9-Hole League on Monday afternoons. We’re calling this a league for lack of a better word, but the intention is for this to be an informal and very social golf gathering! Beginning on Monday, May 13th, tee times will start at 1pm. Sign-up in the Pro Shop on a week-to-week basis for the weeks you can play, no need to worry about subs if you can’t make a week. The Couples League at Hayward Golf Club plays on select Sunday afternoons through the late spring and summer. Guests are welcome. If you have any questions about any of these fun leagues, contact the Pro Shop at (715) 634-2760!